Fatalwonty – to pronounce it phonetically – is a name appearing on so many products, one begins to wonder if Jonathon Wendel's going to bring out his own range of perfume. 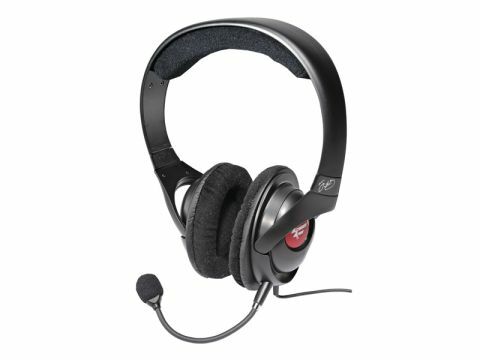 Graphics cards, coolers, memory and mice have all been branded with the pseudonym, and now Creative has brought out a USB headset. The fit is tight, and when I first put it on I feared I was in some elaborate trap akin to the Saw films. But once you get used to it, they provide a tight seal with little or no background noise. The supplied mic also does a good job of picking up your girlie screams in Left 4 Dead. Creative has included its X-Fi software, which apparently can simulate 3D sound through two channels. I've never been convinced that this is possible. After an extended test, playing Far Cry 2 non-stop for a day, it was clear that this is 2.5D sound. Occasionally it works very well, but sometimes everything sounded muffled. Creative are pushing USB products, and although I don't doubt the throughput of USB being able to handle audio signals, it's the software that lets it down. Switching from the headset to speakers via a soundcard requires a program restart. If you've already got a decent sound card and a moderate headset, the Fatalwonties aren't worth it. But if you're running onboard sound with cheapo headphones, these cans are nigh-on essential.